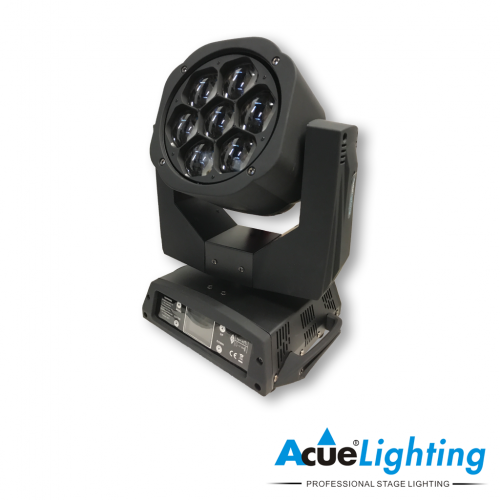 The Acue Lighting Magnum LED is our flagship LED Moving Head effect light. It is essentially three different lights packed into one. 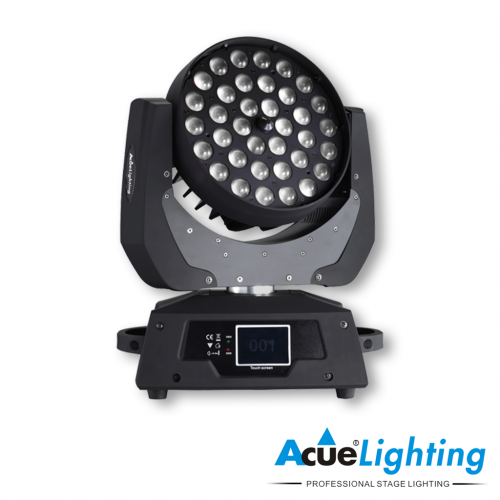 The Magnum LED Moving Head features 19x15w RGBW LED light sources. 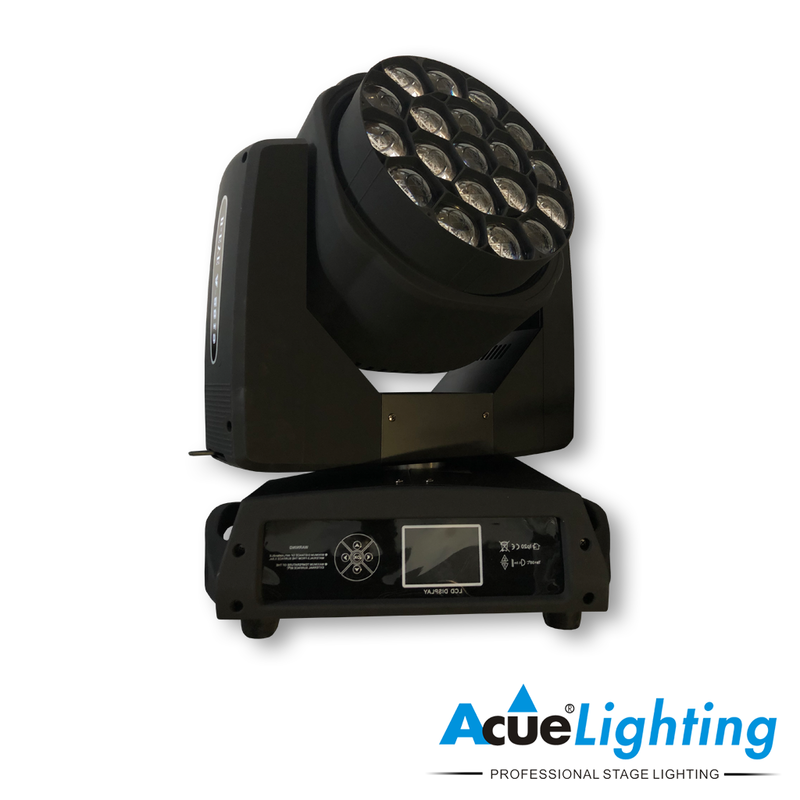 The entire face of the fixture has the ability to zoom back and forth and also allows for infinite rotation in either direction. 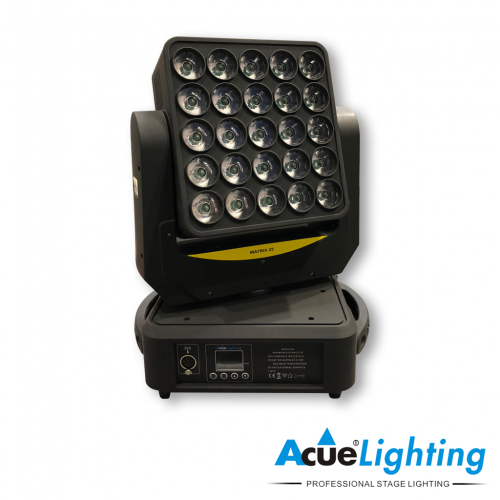 The zoom option allows for the light beam to be zoomed from a tight beam of 5˚ to a brilliant wash of 65˚. Each LED has the ability to be individually controlled allowing for great “eye candy” effects along with nice even color changes. The ability to make the whole face rotate is an entirely new effect in its own. The rotation causes the light beams to be cris-crossed producing a kaleidoscope-like effect. 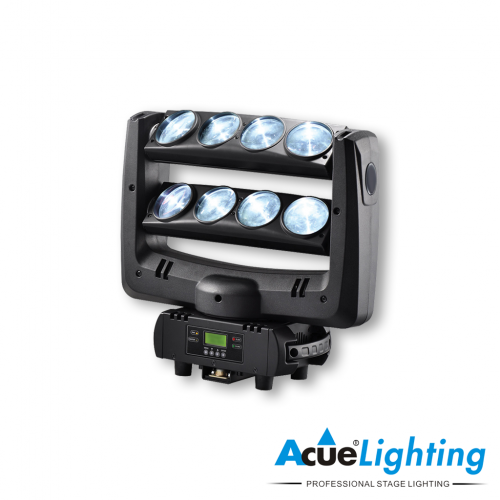 The Magnum LED allows your creative mind to run wild on any stage.